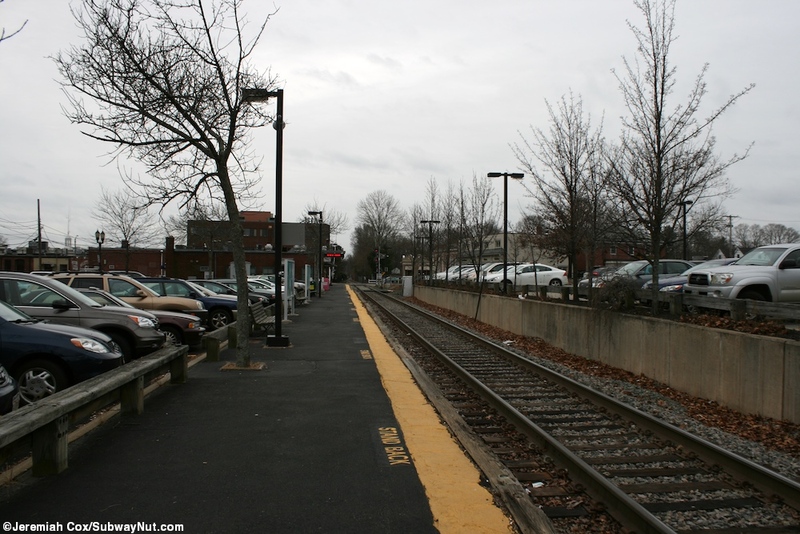 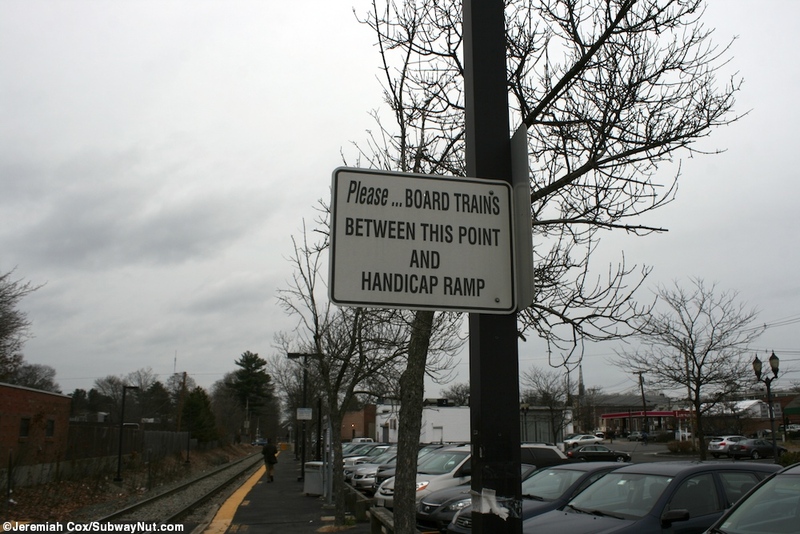 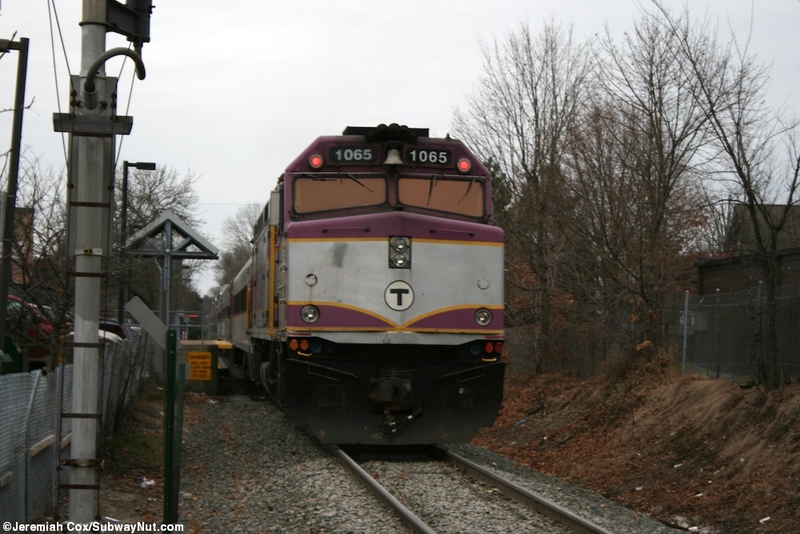 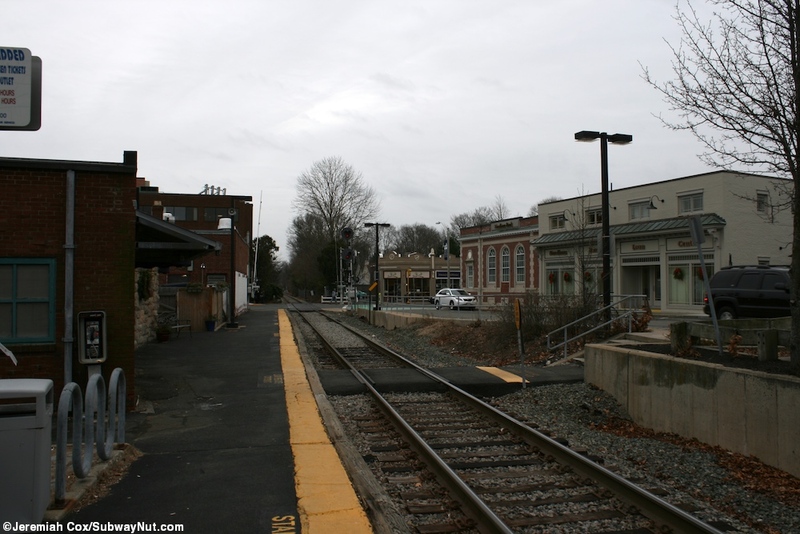 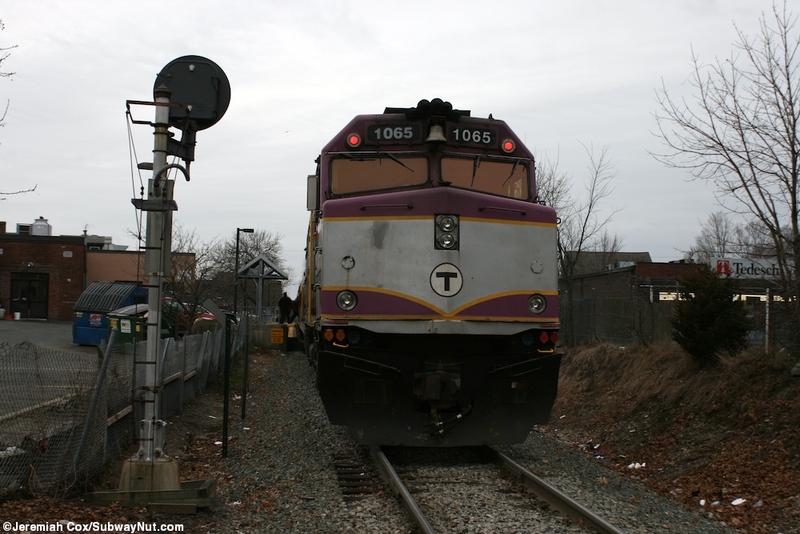 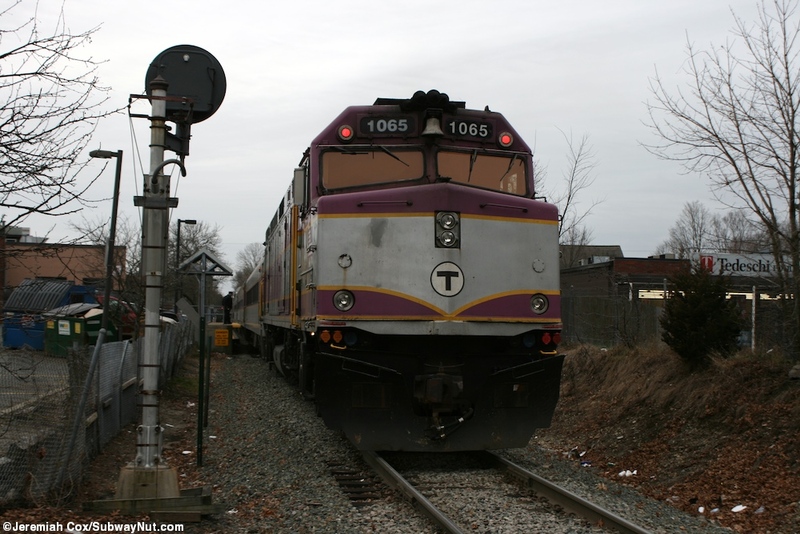 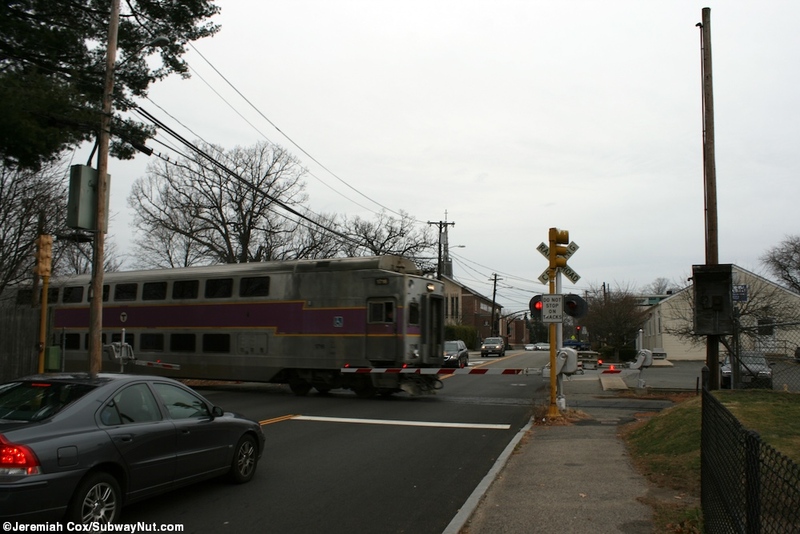 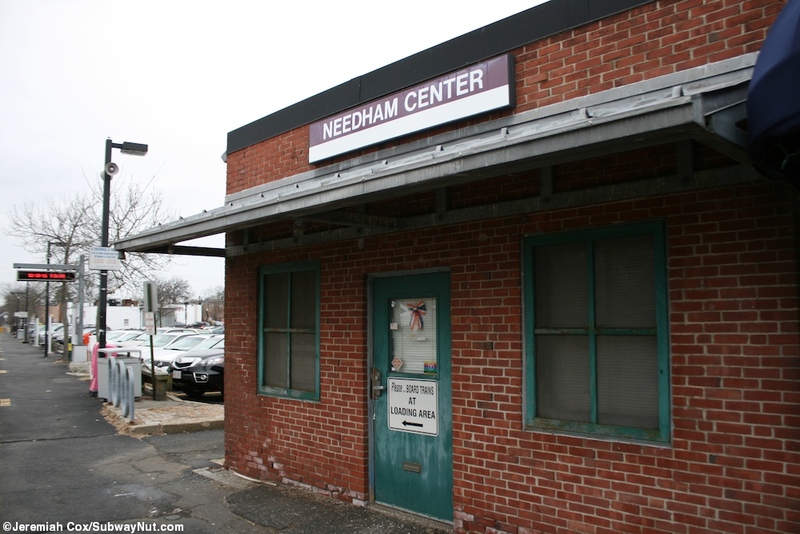 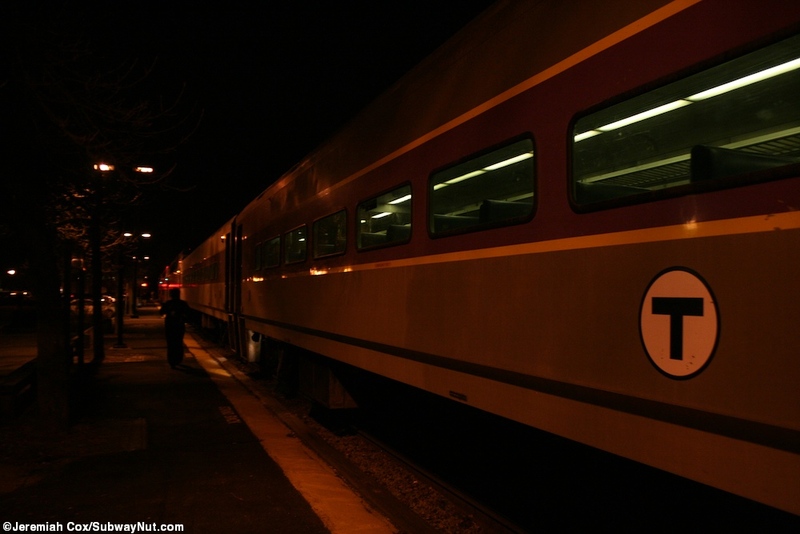 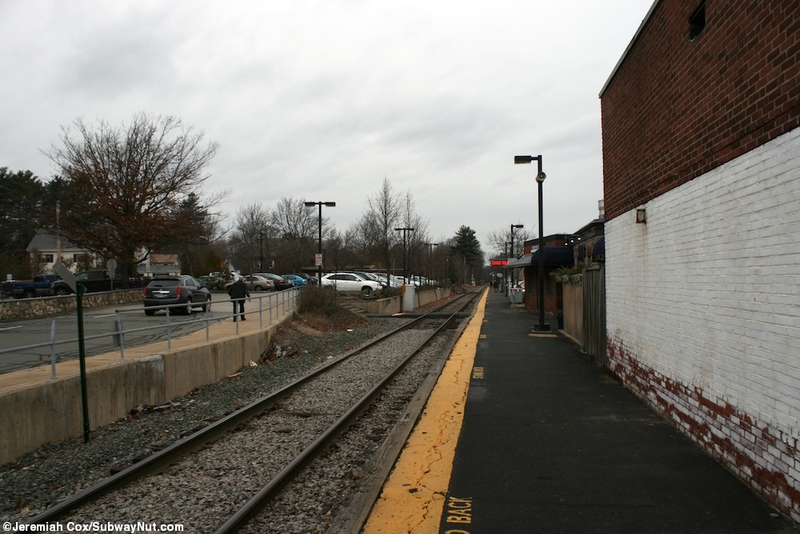 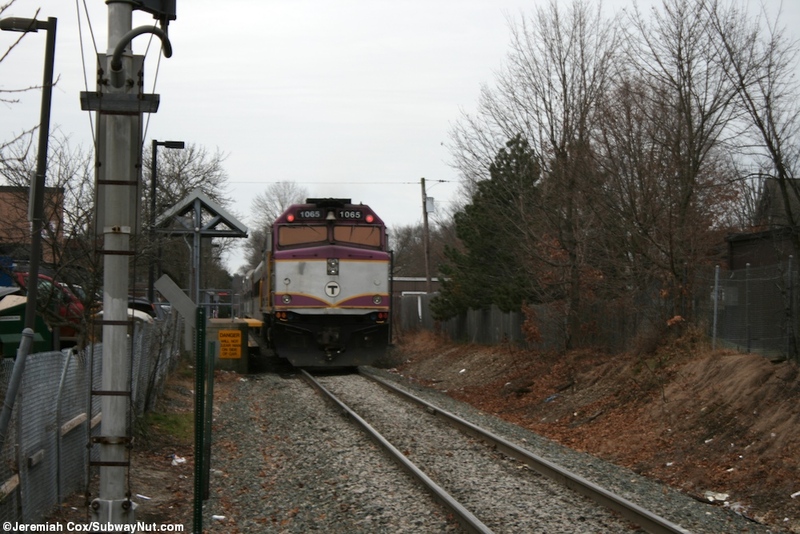 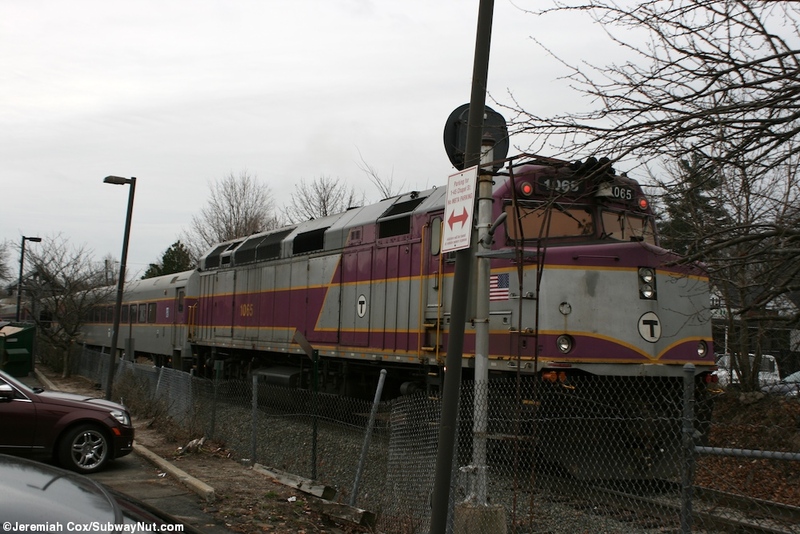 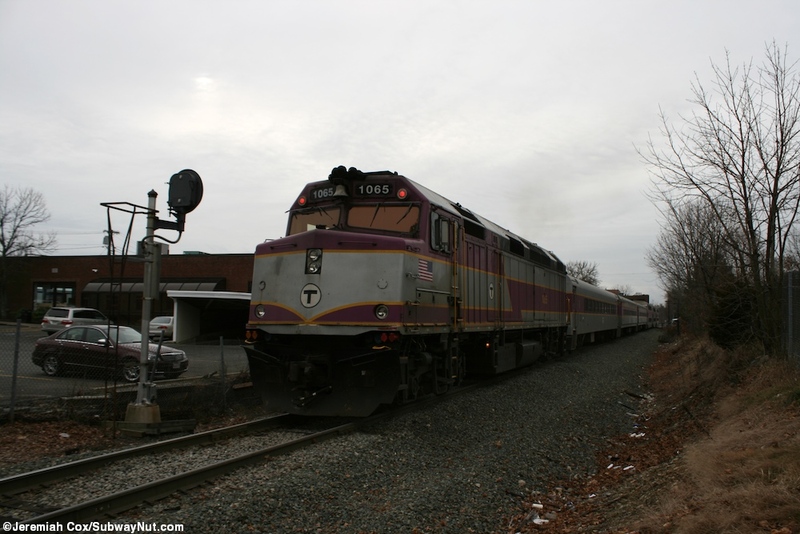 Needham Center is a stop that has no designated parking and serves the shopping district of this inner suburb. 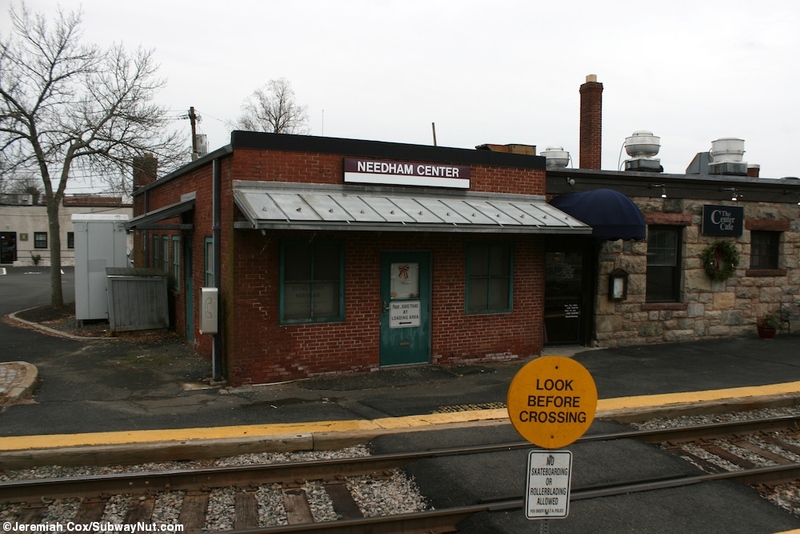 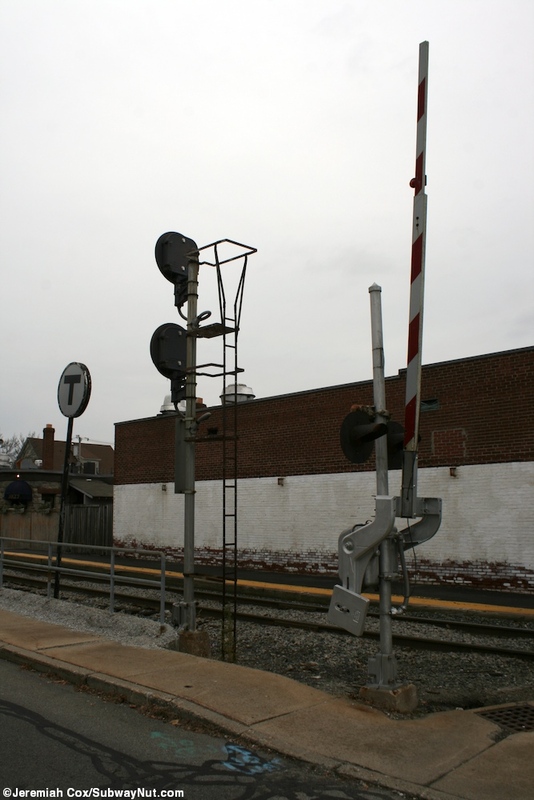 It consists of a single low-level platform for the single track line that begins at the southern (inbound end) along Great Plain Avenue and starts running north, passing a small brick station building that is a now closed shop that used to sell T tickets but has closed. 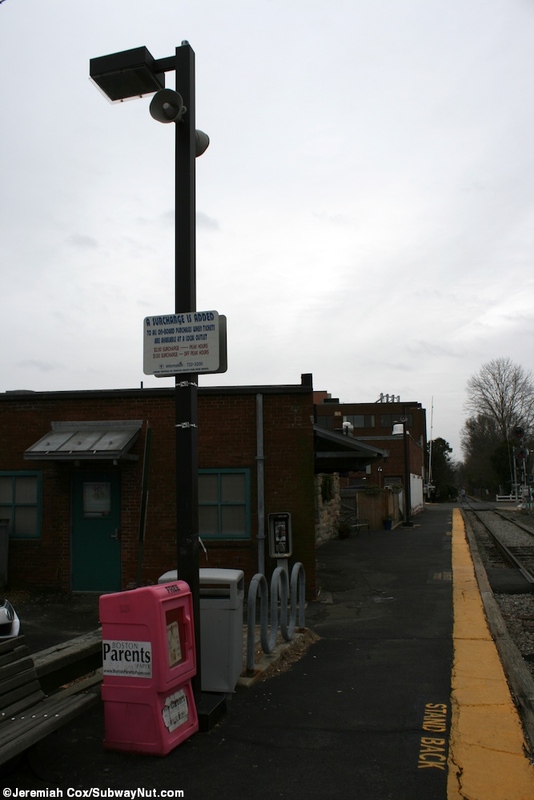 It is now a taylor (and there are no longer sales at the station). 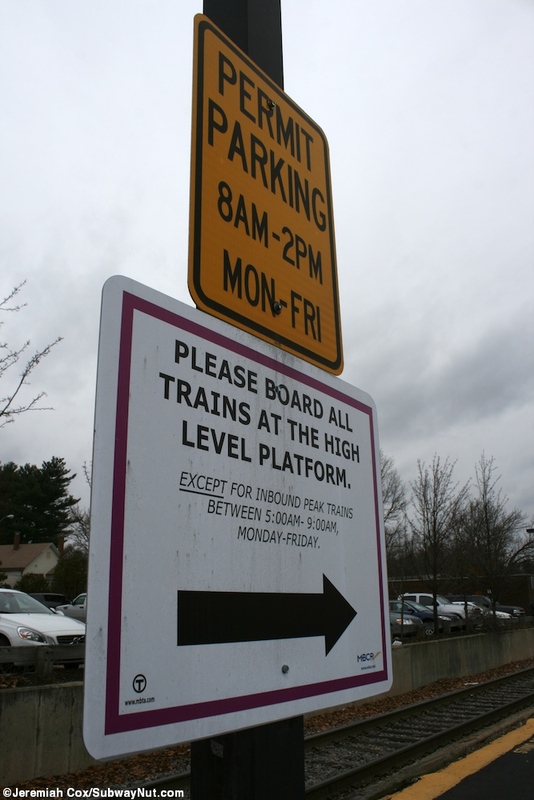 There is still signage on the platform claiming that an on-board surcharge applies during certain hours. 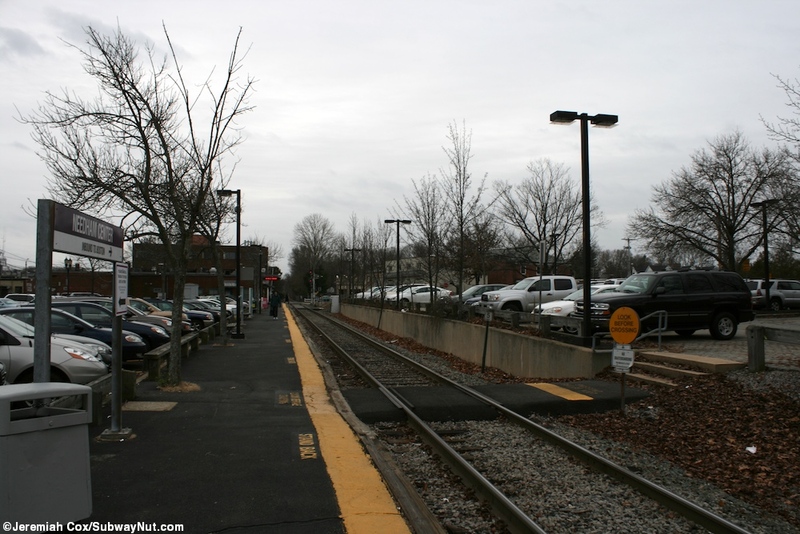 Continuing up the platform there are two more grade crossings and exits to the non commuter parking lots that surround the station and serve nearby buisinesses. 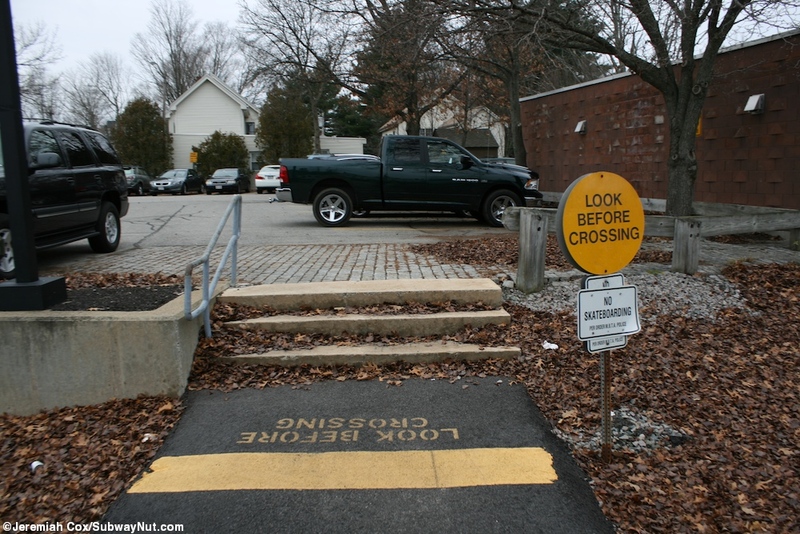 There is also a small canopied section. 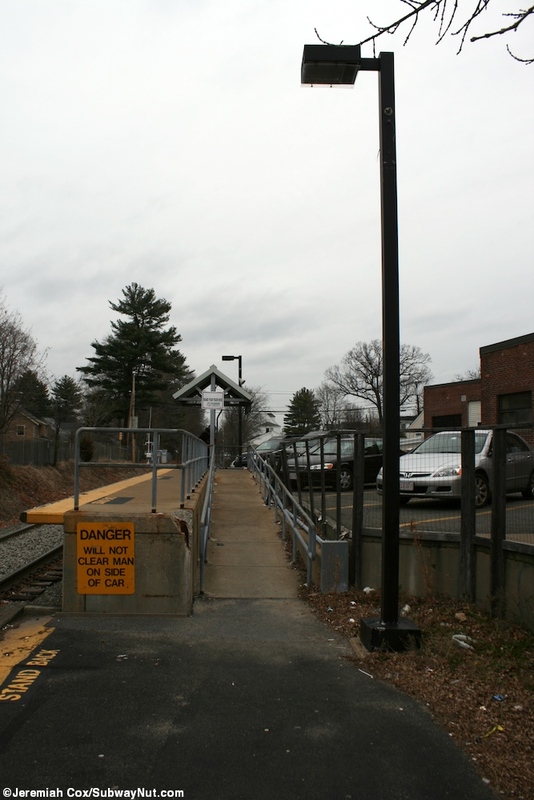 The northern end of the platform is a sheltered mini-high ADA platform where passengers are supposed to board all off peak trains, this is a short ways before May Street's level crossing.